The design of the Anglers Image Tackle Bag (item #ACCATB) was influenced by the Wood River bags popular in fly shops over 20 years ago. All of our staff use these bags and absolutely love them. As you can guess these bags are worn to a thread and because the Wood River company no longer exists we set out to produce a similar bag based on its design. 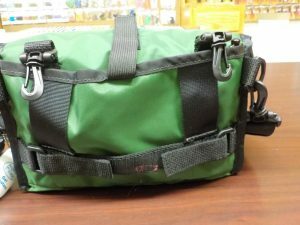 This versatile tackle bag can be worn as a waist pack, shoulder bag, or a chest pack and is constructed of water resistant nylon with rubberized nylon mesh. Here are photos of the bag and its key features. Here is the inside of the bag. 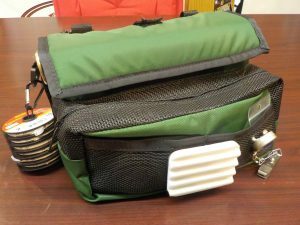 The large compartment measures 9-1/2” across x 3-1/2” wide x 6” deep and has a folding divider in its center that can be folded out of the way when needed. 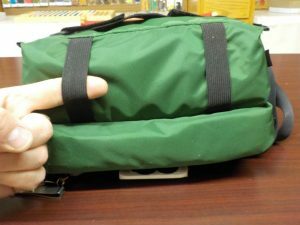 The front zippered pocket measures 9-1/2” across x 2-1/2” wide x 4” deep. The exterior dimensions measure 10-1/2” across x 6” deep x 6” wide. 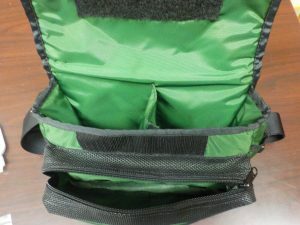 The bag is constructed out of water resistant nylon and rubberized nylon mesh. This is the left side of the bag. This is the right side of the bag. 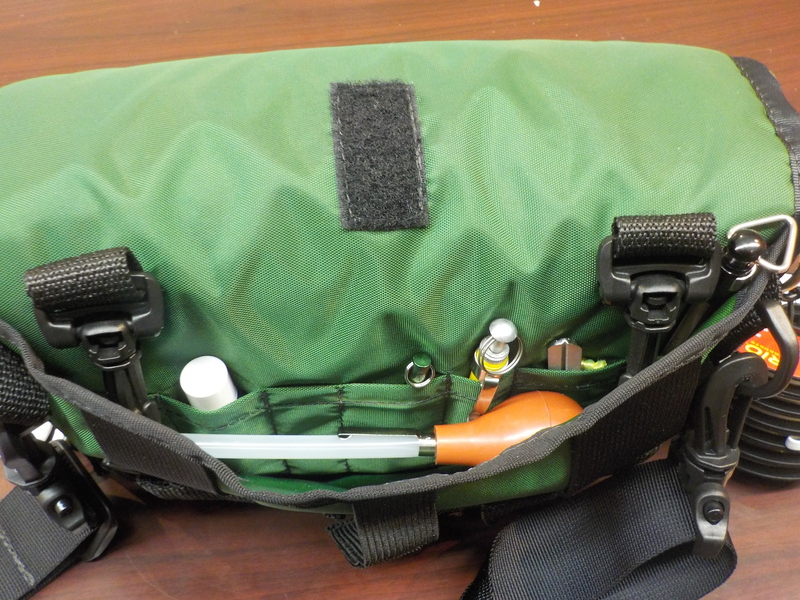 Notice the inner pocket with retaining strap for forceps or pliers. There is also a D ring to hang tools. 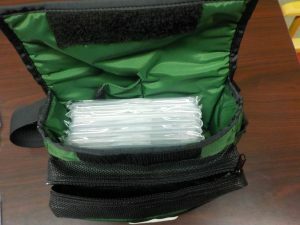 The back pocket of the bag is large enough to accommodate a thin fly box or a bottle of sunscreen. 7 small stitched pockets hold small accessories such as knot tools, hook hones, and a thermometer. This is the back of the bag. Notice the belt loops, plastic clips, and side strap. 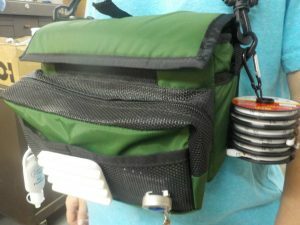 This bag can be worn in several configurations or hung on a boat gunnel. 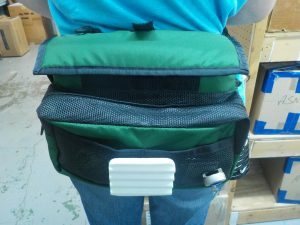 The bag can be worn as a fanny pack – without fear of getting in the way of your fly line. … or as a chest pack. Look at how much space is still left in the large inner compartment with 6 of our large Ultra-Thin fly boxes inside. It is hard to believe this bag measures only 10-1/2” x 6” x 6”. The bottom of the bag has two elastic bands for additional storage. That would be a great spot to attach a folding wading staff or secure a water bottle. 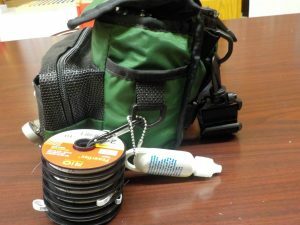 Here are the items we used in the bag for these photos. The bag will easily hold much more than this. 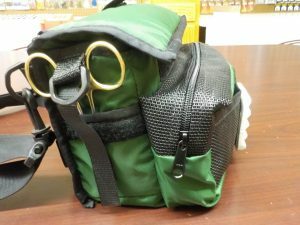 Thanks for taking a look at our Anglers Image Tackle Bag. Wapsi introduced the first stripped rabbit zonkers many years ago. 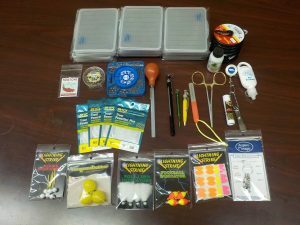 Dan Byford was one of the first fly tyers to embrace the material and his creation, the Zonker, became an instant classic. While rabbit zonkers make fantastic streamers there are times when a longer, stiffer zonker strip is an advantage; saltwater and bass flies come to mind. 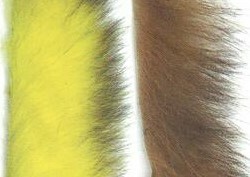 Enter: Awesome Possum Zonkers – zonker strips made of soft tanned, stripped possum hides. This product lives up to its’ name – these zonkers are outstanding for large flies because the hair averages over 1” in length with a density similar to rabbit strips. The stiffer hair makes the strip less likely to wrap around the bend of the hook during the cast. The subtle black tips also give a two-toned look adding visual appeal to the fly. 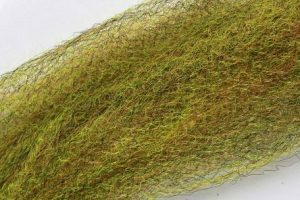 Fuzzy Fiber (Item #FFS) is a soft, thin, hydrophobic strung and crimped fiber that is idea for use for fresh and saltwater streamers. 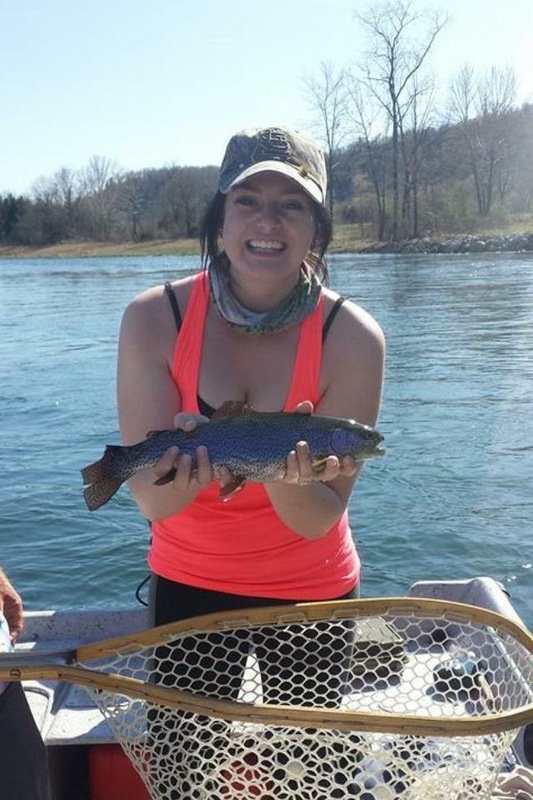 Measuring 10″ in length the fibers can be used for tying very large flies. Our new catalog is now online. 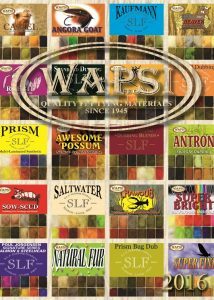 Visit your local retailer to buy the latest and the best from WapsiFly. Serving you for over 75 years! 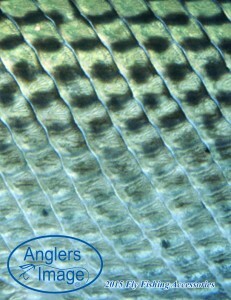 Have you received your copy of the new Angler’s Image catalog? Exciting new products … Time to open your wish book and discover what you need!